Globally, 3.2 million deaths per year can be directly attributed to insufficient levels of physical activity. As a result, it is one of the top ten leading risk factors for death, and a predominant risk factor for non-communicable diseases (NCDs) such as cardiovascular disease, cancer and diabetes. Such statistics have led the WHO to declare physical inactivity a global public health problem. Changes in lifestyles, influenced by technological advances, and increasing urbanisation are partly responsible for the insufficient levels of physical inactivity within populations. In an attempt to tackle this, the WHO has set a voluntary global NCD target for a reduction of 10% in physical inactivity by 2025. This new global challenge is pushing countries to develop new preventative healthcare strategies which, ironically, in many cases also find their roots in technology. Most people are unable to reliably assess their levels of physical activity; generally, estimation of perceived activity will be a great deal higher than the reality. Therefore, the use of objective tools, such as accelerometers, to measure physical activity levels is rapidly superseding the use of self-reported questionnaires and diary logging. Accelerometers are now widely used within the research community to conduct population-level studies to assess health and performance. These unobtrusive wrist worn devices allow accurate data to be collected, revealing a more complete picture of physical activity and sleep patterns in the participant’s normal environment, without the risk of self-report bias. The collection of raw data in a real world environment by researchers is instrumental in understanding the intricacies of people’s daily lives. This unfiltered, unmodified data resource holds such depth of information but is still very much underused. As technology develops this open source raw data can be revisited, removing the limitations of traditional counts based data and allowing the application of more advanced analysis techniques. Novel analysis concepts such as the Sedentary Sphere(TM) have been developed from the analysis of raw data from wrist worn accelerometers. The Sedentary Sphere(TM) allows researchers to determine the most likely posture of participants whilst wearing the accelerometer. Using this method, researchers can describe active, low intensity behaviours (such as housework), which are often not fully recognised with more traditional methods of measurement, despite accounting for the vast proportion of most people’s day. The use of such techniques moves us a step closer to understanding and classifying a wider range of activities and measuring the impact they have on individual and population health. 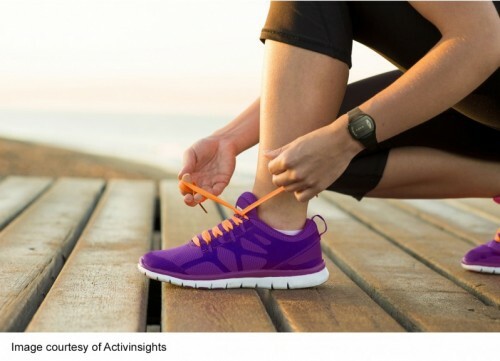 The increasing use of scientifically validated, wearable technologies to provide greater insights into sedentary behaviours and physical activity is an important element in understanding individual behaviours and their impact on our health. Objective measurements of physical activity can help inform preventative healthcare strategies which work towards this year’s theme for World Physical Activity Day of “Active Child, Healthy Adult”.